to Verne's novel "Around the World in Eighty Days"
When I was a child, one of my favourite animated cartoon series was Around the World with Willy Fog, an adaptation of Verne’s classic. The story is about an Englishman – called Phileas Fogg in the original novel – who in 1872 bets half of his fortune, ₤ 20 000 on going round the earth in 80 days. 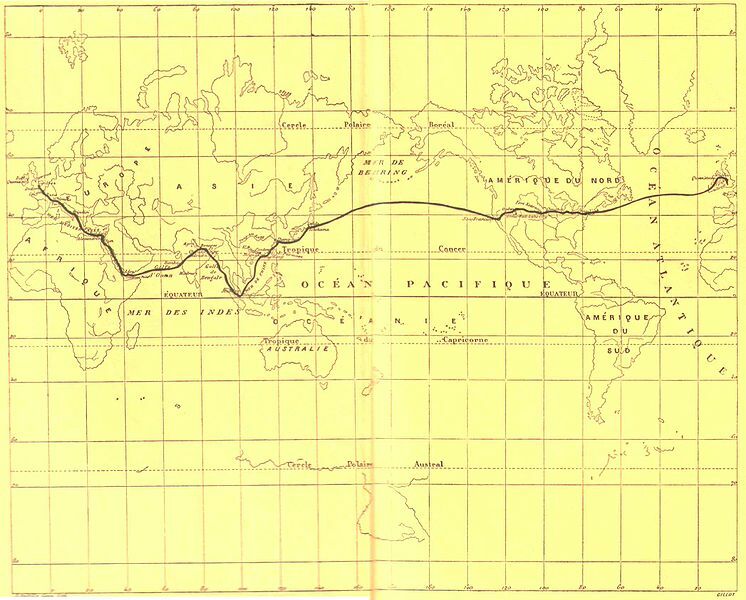 The planned itinerary, proposed as the fastest way by a newspaper, consists of train trips across the continents and steamer trips through the seas. 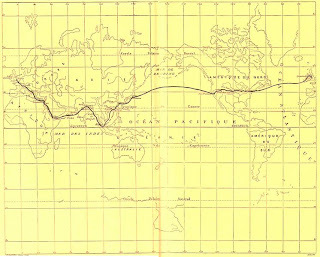 Fogg departs on the day of the bet and arrives back in London after spending 81 days – and the other half of his fortune – on a much more adventurous journey around the world. Since he has been travelling eastbound, however, he has gained a full calendar day as compared to his friends in London. After realizing this, he manages to show up at the agreed place just in time to win the bet. To my great joy, my daughter has come to love the series just like I did. While watching the film together, I began to wonder how long it would take and how much it would cost today to circumnavigate the earth in a way Verne’s hero did. So I have prepared an itinerary which you can find below. Some weeks ago I finished reading Arthur Schopenhauer’s main work, The World as Will and Idea. This accomplishment came a bit late in light of the fact that I first encountered Schopenhauer at the age of 17. This was the time when I decided to study philosophy and was exploring the – admittedly limited – stock of philosophy books in the libraries of my home town. Somehow I bumped into Rüdiger Safranki’s biography on Schopenhauer and was enchanted by the book. It depicted the intellectual scene of late romanticism, Goethe’s Weimar and German idealism in a way that I found fascinating. Thanks to the book, I became interested in Schopenhauer and started to read his minor works. However, I soon realized that his system cannot properly be understood without a basic understanding of Kant, so I began to study Kant. Then I went to university, and many other philosophers diverted me from Schopenhauer. At the back of my mind, I kept planning to read his main work but did not find time to do so until I finished my PhD thesis last year. 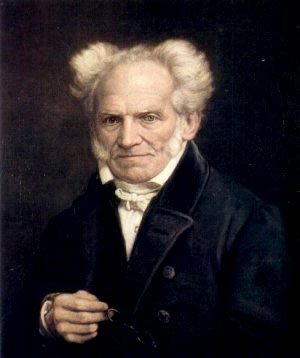 Schopenhauer’s most frequently – although simplistically – cited thought is that life is suffering. This may have touched me 15 years ago when – having awakened from the naivety of my childhood – I felt the pain of an unrequited love for the first time. Today, perhaps because I understand more clearly the delight that even an unrequited love can bring, the idea of life being suffering does not affect me much. What I find interesting in Schopenhauer instead is what he wrote about the redemptive power of looking at things.